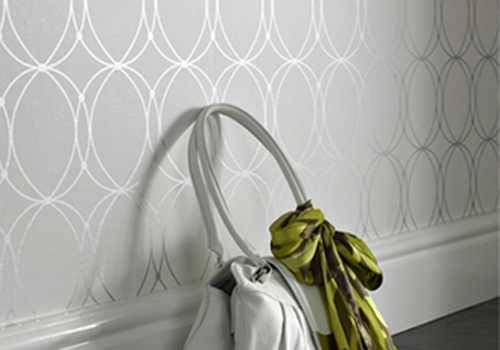 Contemporary and well-priced, Graham & Brown offers a wonderful selection of modern residential wall coverings. I recently used this metallic silver-on-white pattern for a closet redesign. Nicknamed “Boudoir”, it brought glamour to the space. The simple graphic and neutral colouring didn’t compete with the visual busyness of a wardrobe. Definitely gave me walk-in closet envy! Distributed in Canada by Crown Wallpaper + Fabrics, find Graham and Brown books at many paint and wallpaper stores.